REPORT: HBU LIVE 6-13: COSMODIC ® for Younger YOU! Look and Feel 10 Years Younger in 2 Days! Live gatherings of our Home Healers Community are always amazing events, but HealthBoss University LIVE 6-13 that happened in Ft. Lauderdale, FL on June 22-23, 2013 was truly special. Did you know that COSMODIC is capable of bringing up and cleansing ‘negative energy’ that we all can potentially pick up from negative people in our surrounding? I am using the term ‘negative energy’ very loosely, because I personally do not believe that energy can be negative or positive. Energy is just energy; it is neutral by nature (not in the quantum physics terms, but in terms of our everyday life). However, the way energy is organized or used makes a difference – and when we say ‘negative energy’, we usually mean that it is organized or used in a potentially harmful to living systems way. Really, how do you shake off things that hit your on those deep emotional and even spiritual levels? Well, apparently COSMODIC can help with this, quite efficiently. And the most amazing thing is, you can actually SEE it happening. Just watch this small fragment from our program. We call it the Emotional Detox Protocol (when used on the face, like in this video. we sometimes call it the Facial Detox). This is Nancy Madar, our oldest attendee at the conference (Nancy is 85). 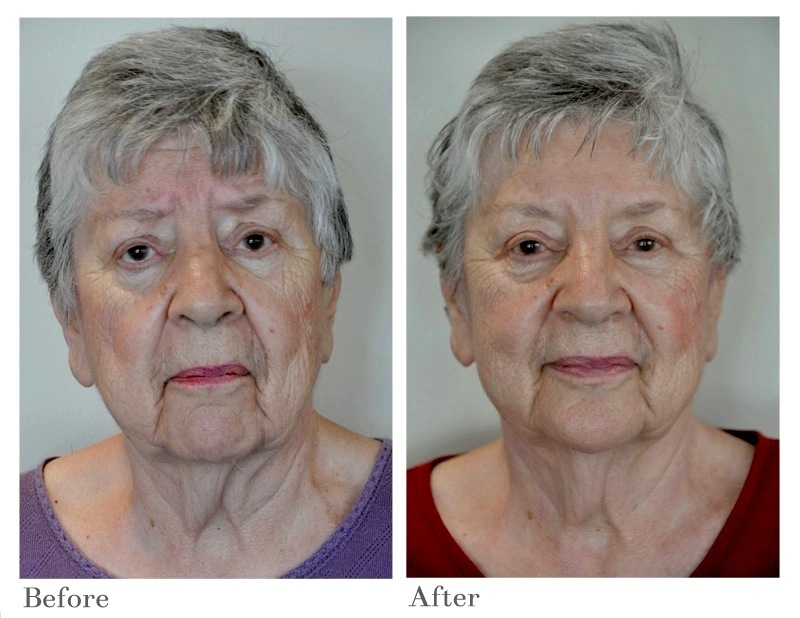 The pictures were taken in the beginning and at the end of the event, where Nancy experienced the COSMODIC Facelift protocol. Did she grow 10 years younger in 2 days or what?! And this is not just an external transformation, and not for an hour. Here is what Nancy wrote almost a month after the conference, when we asked her permission to publish these photos mentioning her age. We are giving it to you unedited, just as we received it. “Like, wow! I’m a STAR! My picture will be everywhere. People will ask for my autograph. I will finally get some respect. And I can’t stop looking at myself in the mirror. I’m even thinking of getting rid of this old guy I’m living with and start looking for some young buck to match my face. Of COURSE, you can use my pictures. I can even send you some vital statistics to go with them, You already know that I’m 85, but I can also send you info about my height and weight, and my waist and hip measurements. Go for it! Thank you, Nancy. You are an inspiration. Here is another interesting discovery about COSMODIC. Apparently, it can even substantially improve Type 1 Diabetes! Not single-handedly, of course, and not in every case. It has to be used in combination with other complementary therapies, under supervision of a knowledgeable practitioner, and there is no guarantee that it will work – but how many options are there for Type 1? 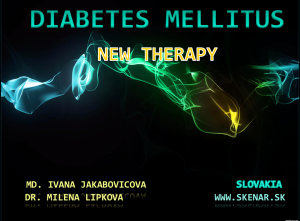 Here is a PowerPoint presentation brought to the conference by Dr. Milena Lipkova from Slovakia (you will see some words with Slavic spelling :-)). This is her latest case of a young man with Type 1 diabetes with severe complications and consistently high sugar levels despite the insulin pump that he has been on for the last 5 years. SENSITIVE IMAGO assessment revealed many types of parasites in the system, and complex integrative therapy was conducted. You will see the results on the slides. Treatment is still ongoing, but isn’t this encouraging already? This is Tamara Wenzel, who came to the conference with her husband Thor. She was our model for the Chakra Opening Protocol. What do you think about that 2-day transformation? Here is Tamara’s feedback after the event. “I wanted to thank you again for the wonderful conference in Ft. Lauderdale. That was very interesting, because he doesn’t see very well at all (congenital cataracts), so he seldom expresses himself that way. Also, he didn’t say ‘I saw the truth,’ just ‘truth.’ A person never does quite understand him, but there probably won’t be any other words forthcoming. He primarily relies on kinesthetics because of his poor sight–which is why I know he especially appreciated the work on his back, even though he didn’t form the words for that at the time, or even now. As for myself, I realize that the biggest benefit of the weekend was understanding the Small Asymmetry – especially the difference between subjective and objective. I can tune into the body better. I have been using it daily to let my body tell me what to do. I also got a live experience with Point-of-Pain. My son (31), was standing in my living room on Monday evening, after we arrived home, flexing his arm in an unnatural manner. When I asked him about it, he said, “I worked out too long at the gym. But it’s nothing.” So I asked if it was okay if I looked. I asked him to put his finger on where it hurt. I asked him several times to move the finger around to be sure. He focused on looking at it, and came to a final point. I touched it also, and confirmed. I asked him if he felt tired out from over-doing it on Sunday afternoon. Yes. At the end, he got up, shook his arms out, and said, “That was absolutely amazing! I have NO pain!” I tapped my fingers on my watch and replied, “Just 15 minutes too.” He cocked his head toward me and I held out my hand. “That’ll be 20 bucks.” When he didn’t register understanding, I said, “You could stand at the gym door and collect tips.” We both laughed. Even though the HBU LIVE 6-13 was all about COSMODIC, we could not NOT to mention the healing technologies that complement COSMODIC so much. We are talking about the Healing FUSION, of course, and the QLaser in particular. Here is a video explaining the QLaser – what it is, how it works, what is so unique about it, how it is different from SCENAR and COSMODIC, and why we always recommend to have both technologies at your disposal. The segment was filmed at the conference as an answer to a question from the audience. The answer turned out to be longer than I expected (the video is 11 min. long), but sometimes “you just can’t take a word from a song” (as we would say in Russia :-)). In this video I did my best to summarize the QLaser for you. I hope it will clarify certain points and help you explain The Healing FUSION technologies to others in simple and understandable terms, thus opening more doors for future Home Healers. So what else did we learn and do at HBU LIVE 6-13? We’ve looked at COSMODIC as the newest breakthrough technology in achieving Regeneration and Age Reversal. We’ve reviewed COSMODIC particularities and distinguished characteristics, especially compared to the already familiar SCENAR technology. We’ve analyzed the most popular models of COSMODIC devices on the market with Mike Beasley – what each device can do, what it’s got, and what it is the best for. We dove into COSMODIC methodology – how it is different from SCENAR and how to get the most out of your COSMODIC device. We’ve remembered that the Small Asymmetry is still The Queen. We’ve practiced the most popular and important COSMODIC Treatment Protocols, such as 3P7P, Little Wings, Energy Cleanse, Pirogov’s Ring etc. We’ve studied Strategy and Tactics in designing a therapy course using your COSMODIC device. We’ve learned the 7-Step Age Reversal Program from Dr. Milena Lipkova. 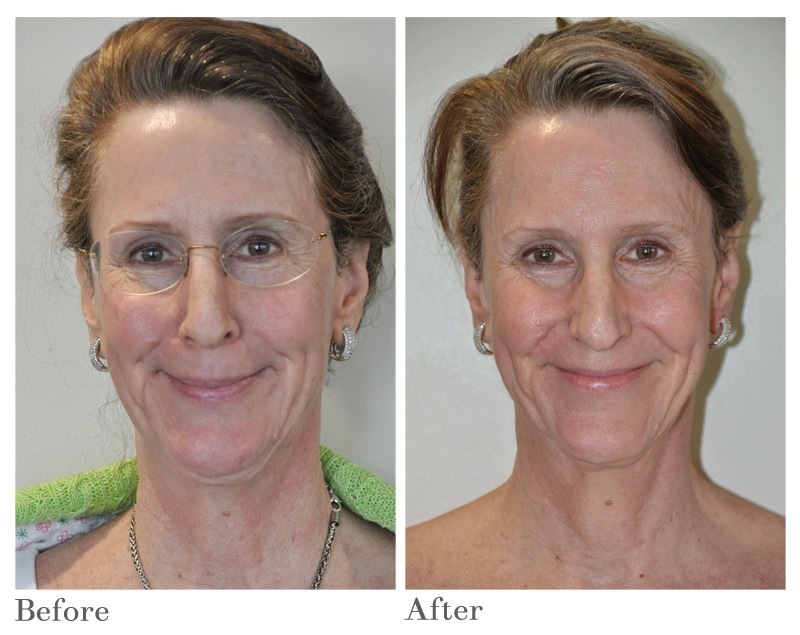 We’ve done quite a few of COSMODIC Facelifts. We’ve witnessed some pretty amazing transformations with complex COSMODIC Protocols and learned COSMODIC Lymphatic Drainage, COSMODIC Abdominal Detox, Chakra Opening with COSMODIC, and even COSMODIC Breastlift. We’ve seen and experienced first-hand how Shungite Remote Electrodes can enhance the COSMODIC powers – and we’ve learned quite a bit about shungite, the Russian miracle stone. And, of course, we talked about the complementary technologies and products – the QLaser, the SOLARIS Blanket, AGEL and VIZ nutritional products etc. There was much more, of course. I just mentioned the highlights. Complete event recording on DVDs – fully edited to create a self-teaching and immediate implementation format. $297 – INTRODUCTORY PRICE from now till October 7th, 2013. $397 starting October 7th, 2013. If between now and October 7th, 2013 you are purchasing from us $1,000 USD or more of the Healing FUSION equipment – you get $200 discount on the DVDs. HBU Students! Call the Office for Your Very Special Deal. PLEASE NOTE: If you order ONLINE, you will have to agree to the “Personal Use” license before your order is processed (it’s a standard agreement you see whenever you buy any software that says that you have the right to use this information and this DVD set for your “PERSONAL USE ONLY” and you may not distribute it, sell it, etc. So we want to make it perfectly clear what you could and could NOT with this information. Personal Home Use ONLY – no commercial uses. “I am an alternative medicine practitioner, and I have been trained and worked with the SCENAR 97.4 for many years with great results. But the Healing FUSION equipment that I’ve got only a few months ago, and especially COSMODIC, is just phenomenal. It is so advanced compared to everything else out there. “I did not know what to expect from the program, but I thought I’d go, because if nothing else, that should be fun. And it is was definitely it :-). I’ve got a facial treatment, which was worth every bit of a cost to coming down here. And I’ve experienced a great surge in energy and vitality and internal “youthfulness”. I feel younger . I was completely satisfied with the lectures. I understand COSMODIC now, and I am not afraid to work on anybody. Some of the protocols that we’ve done just lighten you – the body, the emotions. “I feel really invigorated. I enjoyed meeting everybody, I loved to see the expertise of Dr. Irina and Dr. Milena. Amazing practitioners, great knowledge, and it is good to have hands-on training versus just videos. “As a Home Healer, I own a SCENAR device , and I use it all the time on various conditions. At this program I learned many protocols that I will now incorporate in my daily routine. I’ve had tight shoulders since I was 20, and it is so nice to feel them relaxed the first time in years, after some work was done on me this afternoon. I definitely recommend this program to any Home Healer. You can be skeptical, but even then there will be things that resonate with you. And that will start the process, it will put you on the path to health. “This is my first time at a HealthBoss live event. I am new to the Healing FUSION technologies, and it is all very fascinating and compelling. It was a terrific experience meeting people of all walks of life and with different ideas about healing. It took me out of my own box, and yet I felt that with my experience as an acupuncturist I had a lot to contribute. “These have been great two days where we learned a lot about COSMODIC: how to use it and what to use it for. “Before I came to the event, I studied all the training DVDs that came with my Healing FUSION equipment. But it is one thing to study DVDs – and another to have an actual hands-on training and help someone else. Then you see what other people are doing with their ecquiment, and it opens up new ideas that you haven’t thought about before. You are really going outside of your own box. I really bought the equipment for my own Home Healing, but now I can see how it can help so many other people. And it is a lot simpler than I thought. The artificial intelligence is going to help you, and it is going to regenerate you, even if you do not follow the exact protocol. I met a lot of like-minded people here, and it is important to know that you are not alone, to have your support group. That was a surprise benefit 🙂 And then you meet a lot of wonderful practitioners, who you always can ask for a health advice during breaks. In trainings like this, you begin to understand your body better. It’s like taking an ownership. You get acquainted with your body, you own it. Then you become accountable for your body – and then it all starts to process. And you realize that you CAN regenerate. which scenar or cosmodic is best for firming & Lifting the face? And which one would be best for personal home use? Thank you for taking your time to help me.